This open international summit brings together the leading protagonists and affiliates of the Arte Útil, to reflect upon the genealogy of the movement, its influence to date and to plot its future course, particularly in relation to current social issues and urgencies. This inaugural summit takes place in the shadow of the UK referendum decision to leave the European Union, the Spanish General Election, terrorist attacks in Istanbul and an emerging right-wing discourse that is infiltrating the traditional provinces of the left. Pertinently, the 2016 Summit takes place at Middlesbrough Institute of Modern Art, an institution repurposing itself according to the criteria and methodologies of useology and directly located in one of the most disenfranchised regions of the UK, noted for the strength of its support of an EU exit. Arte Útil (roughly translated into English as ‘useful art’ or, more accurately, art as a tool or device) is an ongoing body of work that draws on artistic thinking to imagine, create and implement tactics that can change how we act in society. 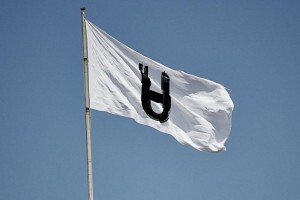 Since its initiation by artist Tania Bruguera in 2011 the movement of Arte Útil has grown through an expanding network of allegiances, partnerships, and platforms to provide a serious and real challenge to the orthodoxies of contemporary art. This includes presentations at the Queens Museum New York, The Museum of Arte Util at the Van Abbemuseum Eindhoven, Tate Liverpool, Ikon Gallery Birmingham, Nova Gallery Zagreb Museum of Modern Art Warsaw and Arts Catalyst London, alongside an expanding constellation of projects and activities, all documented through the Arte Útil website. Arte Útil forms part of a significant moment that is witnessing a migration of art from its usual sustaining environments (museums, galleries, markets) into the cut and thrust of ordinary life. As this takes place and begins to influence a genuinely radical change in institutional practice, Arte Útil has been met with strong opposition, often with the accusation that its motivations are complicit in a neo-liberal agenda. This summit is called to redress the balance in this debate, to answer these criticisms and affirm the position of its agencies as a subversive challenge to a market-driven orthodoxy and insist on Arte Util as a broad and diverse network of common authorship that transforms spectatorship and the conception of the artist. mima provides an ideal host for this first summit as it moves forward with a new institutional vision to repurpose the museum according to the emerging concept of the Museum 3.0. This offers a live case study of a museum in transition, in a post-industrial region, facing some of the most acute social and economic challenges – a town built around a steel works that closed for good last October, the UK’s highest concentration of migrants per head of population, some of the highest indices of deprivation and a traditional working class community undergoing wholesale political change. Reflect upon what Arte Útil has done since its first iteration at the Queens Museum New York, as well as looking at the wider constellation of related activities. Work with specific constituencies in Middlesbrough to apply the resources of the Summit to solve urgent issues in the town. Introductory speeches, tour of mima and its current exhibitions working as tools for social change. Site visits and workshops ‘in the field’ with members of the Gresham community of Middlesbrough to address current and specific issues in the neighborhood concerning migrants and asylum seekers, housing and government policy. Actioning the Archive: using historical and current examples of practices that apply radical artistic competencies to effect the socio-political arena. 10.30 – 1230: Parliament of Arte Util – discussion and debate around current live issues. 1330 – 1700: Tour of specific sites in the wider Tees Valley industrial region to analyse and address the role of art in driving social change. The Asociación de Arte Útil is part of an ongoing collaboration between Tania Bruguera, Grizedale Arts, Van Abbemuseum, Liverpool John Moores University and the Internationale confederation of European museums, as part of the 5 year project ‘The Uses of Art: The Legacies of 1848 and 1989’. The Asociación de Arte Útil is co-directed by Tania Bruguera and Alistair Hudson (Middlesbrough Institute of Modern Art) in partnership with the Van Abbemuseum. Invited contributors include Stephen Wright, Tania Bruguera, Charles Esche, Nuria Guell, Stephanie Smith, Kuba Szreder, Sebastian Cichocki, Gemma Medina, Alessandra Saviotti, John Byrne, Annie Fletcher, Investing in People and Cultures, New Linthorpe Pottery, Middlesbrough Borough Council, Assemble, Granby Fours Streets Community Land Trust. The Arte Util Summit is supported by the EU Culturefund and Arts Council England.